I am so excited to show you guys my “new and improved” Wednesday Wants! I’ve decided that instead of providing a bunch of random items I am wanting, each week I am going to compile items I like into two outfits – a weekend one and a work day one. I’d love to hear your thoughts on this new look! As for this week’s wants – can you tell I have a thing for floral right now?! I feel like florals get so easily mistaken as a spring pattern, when in reality I love florals for fall. 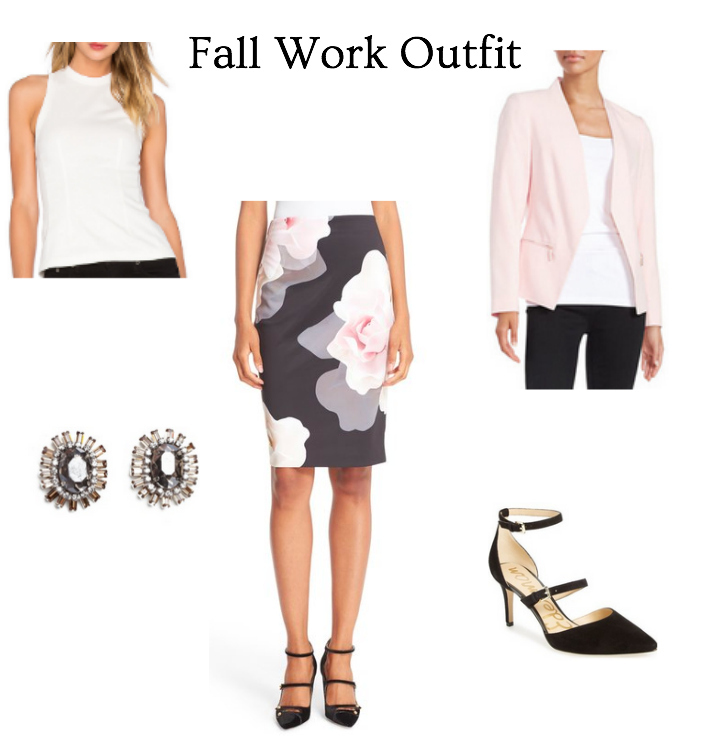 Hopefully these outfits inspire you to incorporate florals into your fall outfits, work day & weekend. I hope you all have a great Wednesday ahead of you! I‘ve had a bit of a slow start to my day today, I slept in far longer than I should have! I had a girls night out last night and my friends and I went to see Bridget Jones’ Baby. It is by no means as good as the original, but it did have some pretty hilarious moments.